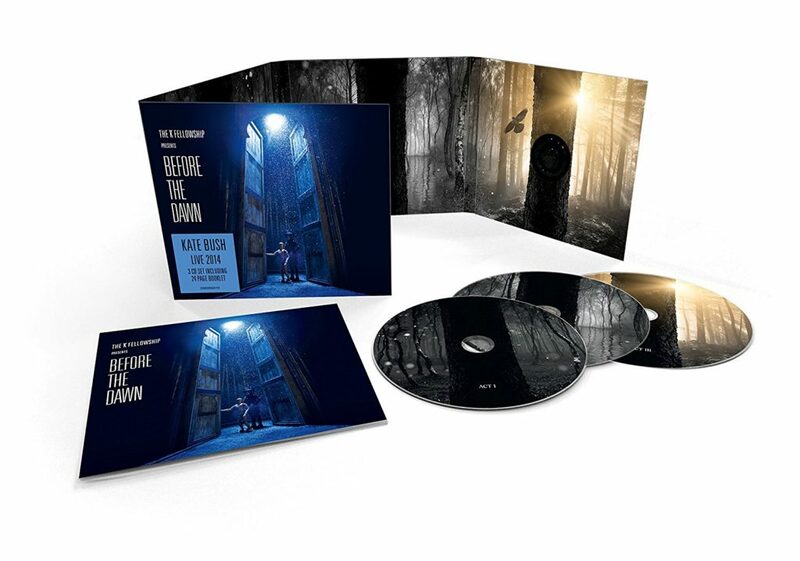 BEFORE THE DAWN LIVE 2014 – CD and vinyl sets released 25th November! 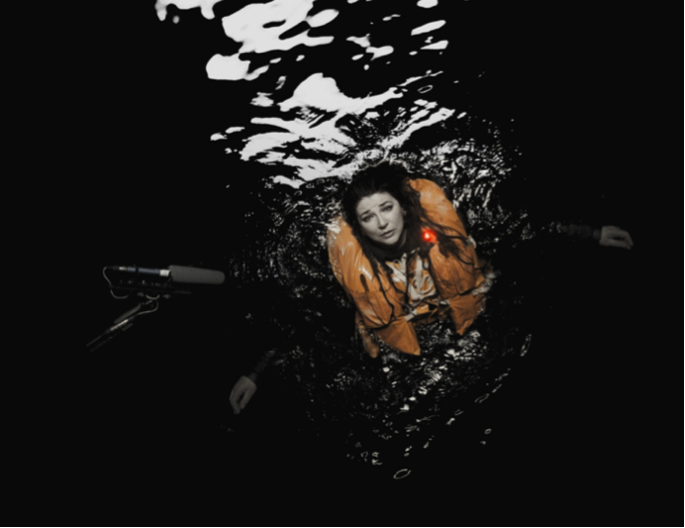 Are you ready for a fresh Kate Bush release in your record collection?! We are so delighted to let you know that two years after she completed her extraordinary 2014 run of Before the Dawn shows at the Eventim Apollo in Hammersmith, Kate will release a live album set of these already legendary concerts on November 25th on her Fish People label (with a 5th December US release through Concord Records). 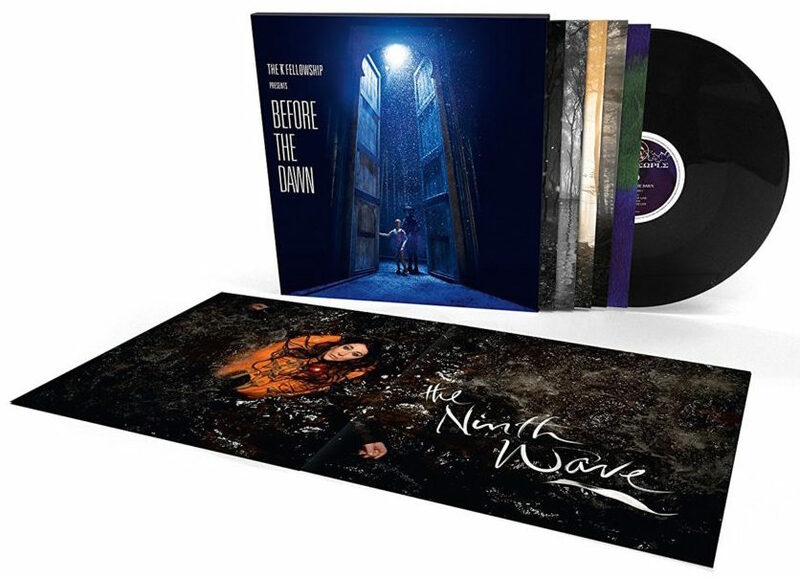 This 4 disc vinyl LP OR 3 disc CD set is available to pre-order from today. The album artwork, as expected, looks stunning, and in grand Kate tradition there is a hidden KT symbol on the album cover…happy searching. 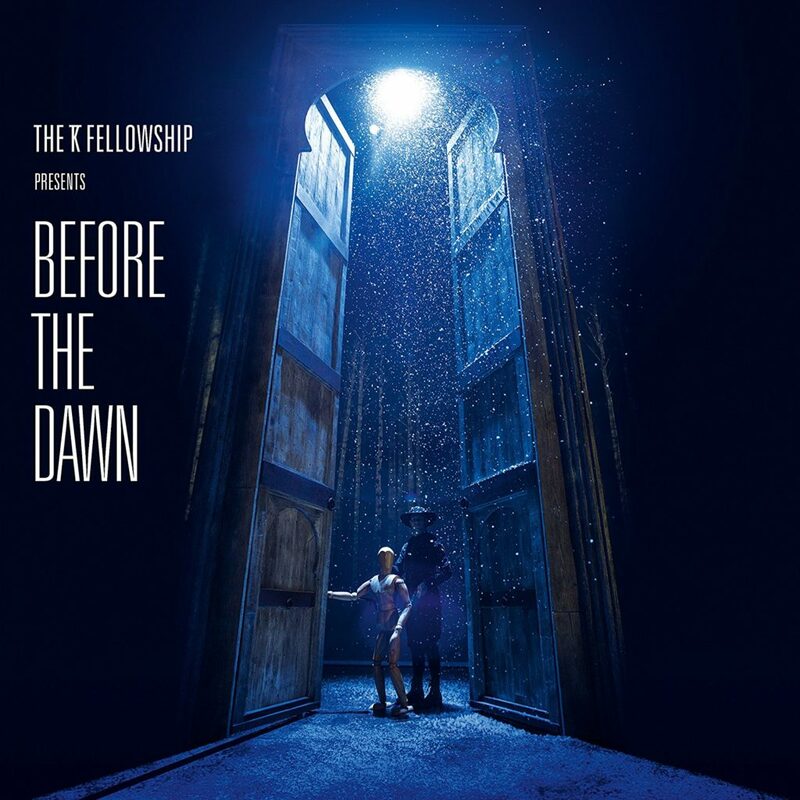 Before the Dawn will also be released on the usual digital platforms also such as iTunes, Amazon etc. The album title is billed as “The KT Fellowship Presents…” underscoring again Kate’s determination to emphasise the collaborative nature of this huge production team’s work. We cannot wait to play these glorious recordings LOUD! The power and beauty of Kate’s voice combined with the sheer brilliance of her musicians and cast is going to be heart-stopping. 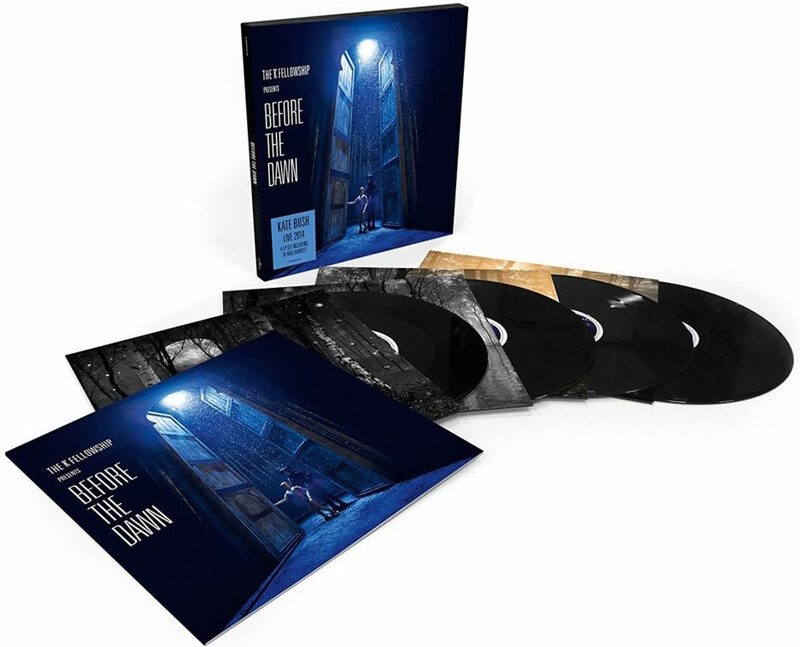 What’s included in the Before the Dawn sets? The 3 CDs encompass one act of Before the Dawn each while the tracks on the vinyl set are spread across the 8 sides of the 4 vinyl discs. 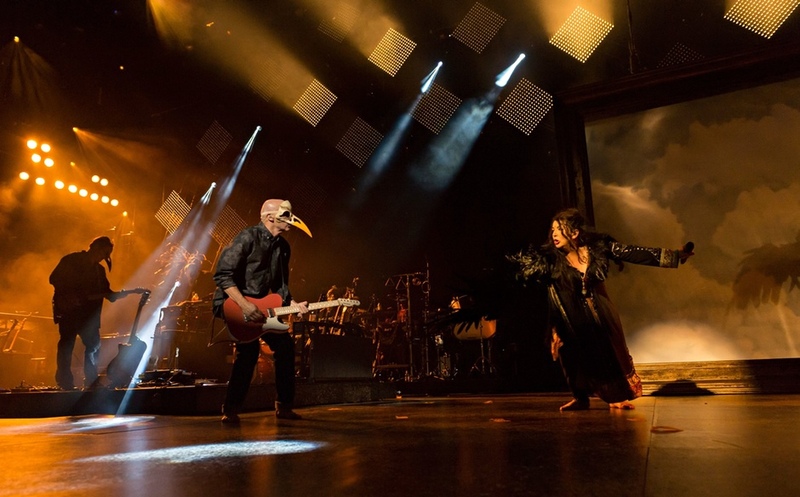 24 Responses to BEFORE THE DAWN LIVE 2014 – CD and vinyl sets released 25th November! Fabulous news. Do we think these are likely to be available on her official website or do we have to rely on Amazon etc.? This is marvellous… Does anybody know if also a video is to be expected? The live was filmed, right? Hurrah! That’s Christmas sorted then. I was feeling very sceptical about the rumours that had been flying around the internet this week, especially with what brother John had said in his radio interview. I won’t speak of DVDs; I’m simply grateful that Kate is letting us have what I’m sure will be a beautiful recording of the stunning show. I won’t buy this. (Maybe just “never be mine.”) this was a visual show. It won’t make sense without a DVD. Website link for pre-order takes you to Amazon; where Before The Dawn is number 1 in music… Can we foretell Kate’s 4th UK number album? Well Kate, that is fantastic news. Thanks for giving so many people who love your music access to Before The Dawn. I am so excited to re-visit it. Can’t believe that it was January 1987 that Kate had her last uk number one album with “The Whole Story”. Almost 30 years ago! Long overdue. Fingers crossed!! Wonderful news! I was privileged to attend two nights of ‘Before the Dawn’, one of them in front row. And now I’m really looking forward to the release date! This is just wonderful news. Having seen her stage production it’s the next best thing to SEEING her performance! Curious, the iTunes digital version has a slightly changed lineup (no Aerial for example)… anyone read about this? Kate really never stops to surprise her fans all over the world with her perfect sense of timing! Maybe we should all credit her more for always giving us her utmost best, even if it takes a little longer than a lot of fans can bare….. Incredible that I’ll be able to relive her mindblowing concert in a short while; attending her liveshow has been an unforgettable experience for me and I’m so proud to have been able to be part of her mesmerizing crowd one evening in August 2014. Thanks all of you who were part of the KT Fellowship! SO STOKED! I got Amazon cards for my birthday, so woo-hoo! Will never forget September 28th, 2014.And I love that I can get the vinyl set with big format artwork like olde times when I was a lass. Is there anyone who can tell us why there is no dvd? I strongly look forward to an explanation. Is there any clue as to which nights the songs are taken from? BTW Sean, you are next to me in the acknowledgements in Guido’s book! Hi Bryan, oh cool – the book is beautiful, isn’t it? No indication as to which nights, unless the liner notes say otherwise I’m taking it that it’s a selection of best performances from the whole run? We shall see. I am ecstatic about this being released in audio format–especially vinyl! Grateful that Kate and the Fellowship made this happen. It will be treasured for a lifetime. The memories of one night in September 2014 are flooding back already. The show was a visual spectacular – but the audio too was a totally immersive experience, I recall. Three of us went (all grown men) and three of us were reduced to tears as the first notes of Kate’s voice were heard at the start of the show. 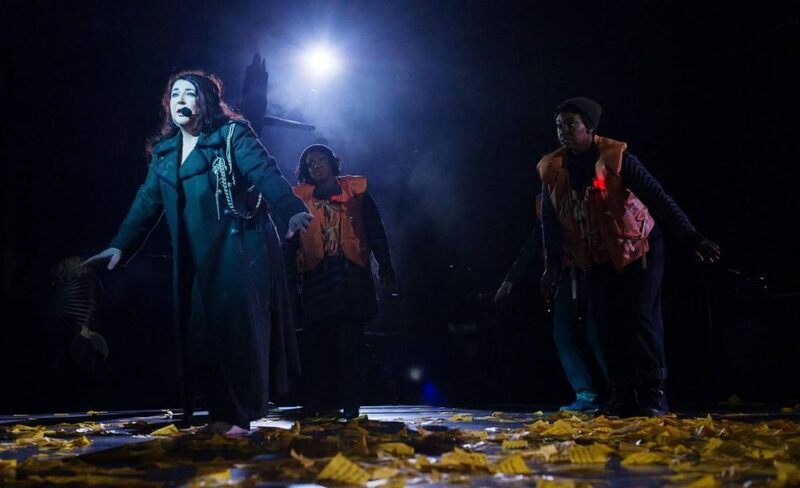 None of us had read reviews or set lists (though we had seen headlines criticising the choice of songs in the show – the song choices were sheer perfection!) so everything was a surprise to us. We had the delights of A Sky of Honey from Aerial, together with The Ninth Wave from Hounds of Love. How could anyone complain about those masterpieces? Add Cloudbusting, Hounds of Love and the remarkable Among Angels and you have the most wonderful selection of music; how could anyone find fault in that? I am truly excited about the release of the live shows on CD – I really can’t wait until Christmas to hear this and I’ve arranged for delivery on the day of its release (I’m not a kid – I’m 55, for goodness sake!!). The ‘taster’ track, Prologue, sounds as clear as crystal – roll on 25th November! I’ve been searching for months…can anyone tell me where the KT symbol is on the vinyl version of BTD? And does anyone know if DC has one too?